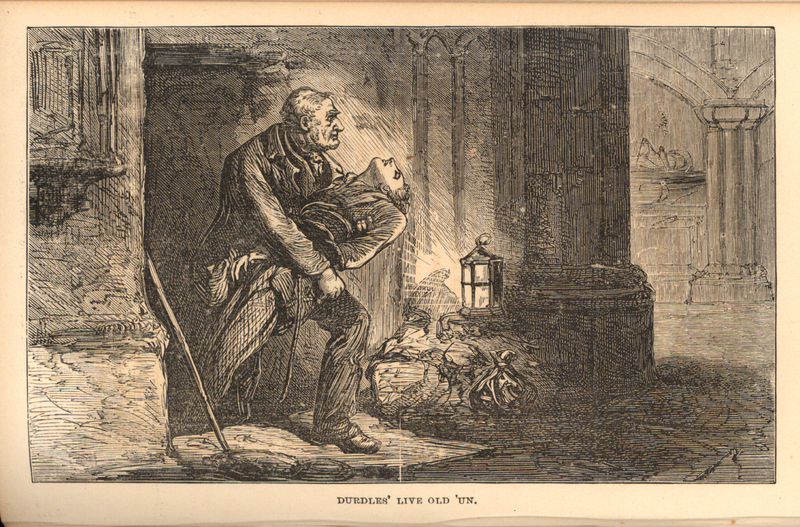 The images on this page are all examples of unauthorized adaptations of Dickens's intellectual property. Charles Dickens was a central figure in the debate over international copyright. The Queen Anne’s Act, passed in 1709, was the British copyright law in operation at the start of Dickens’s writing career. In that Act, authors were given the sole rights to their works instead of the printers, which had been the case prior to 1709. The Queen Anne’s Act limited copyright protection to twenty-one years for vested copyright owners. New copyright owners got fourteen years, plus the option to renew for another fourteen years if the author was still living when the original term expired. By the early nineteenth century, the Queen Anne’s Act needed an overhaul. Dickens was active in promoting the 1842 Copyright Amendment Act, which expanded copyright protection for authors, granting them the rights in their works for forty-two years or seven years after their death, whichever was longer. That same year, Dickens visited the United States, and decided to champion the cause of international copyright. Many American authors were in favor of international copyright laws because they felt that international copyright would give American publishers more of an incentive to publish American authors. Without international copyright laws, it was cheaper for American publishers to reprint British publications for which they did not pay, rather than paying American authors for their work. American publishers and the press, however, were incensed at Dickens’s speeches challenging this practice. In retaliation, the press wrote that Dickens was not grateful for the hospitality with which he had been greeted. The problem of international copyright would not be resolved in Dickens’s lifetime. 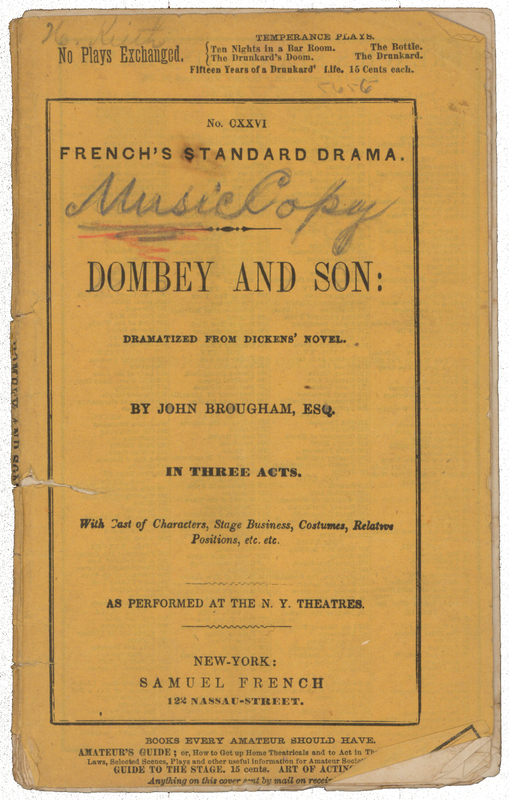 Dombey and Son. Dramatized from Dickens’s Novel. By John Brougham, esq. In Three Acts. To which are Added, a Description of the Costume--Cast of the Characters ... and the Whole of the Stage Business. As Performed at the New York Theatres. New York: S. French [185-]. This is another example of an unauthorized dramatic adaptation of a Dickens work. Often, these dramatizations would be staged before the original novel had finished its serial publication. In those cases, playwrights would make up their own endings to the story, much to the chagrin of the actual novelist. 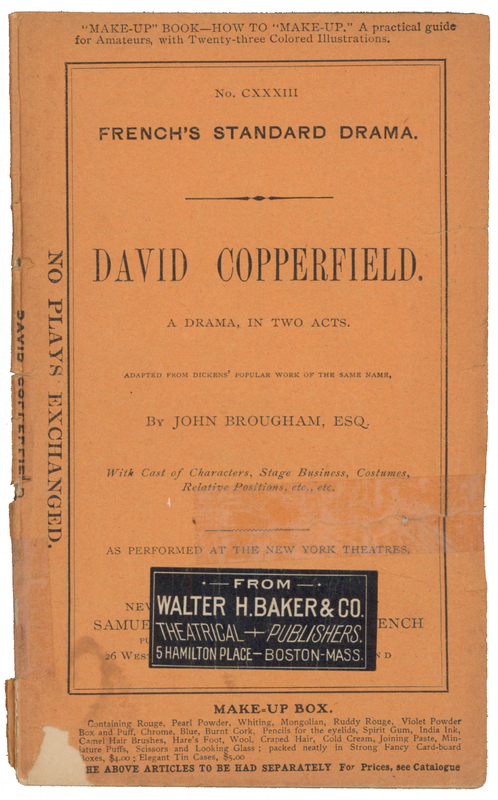 David Copperfield: A Drama in Two Acts, Adapted from Dickens’s Popular Work of the Same Name to which are Added a Description or the Costume, Cast of the Characters, Entrances and Exits, as Performed at the New York Theatres. New York: S. French [185?]. Dickens’s novels were popular choices for dramatization, with David Copperfield being a perennial favorite. Playwrights of this time period commonly pirated novels for plots, characters, and even for dialogue. The original novelist rarely received compensation from these productions. 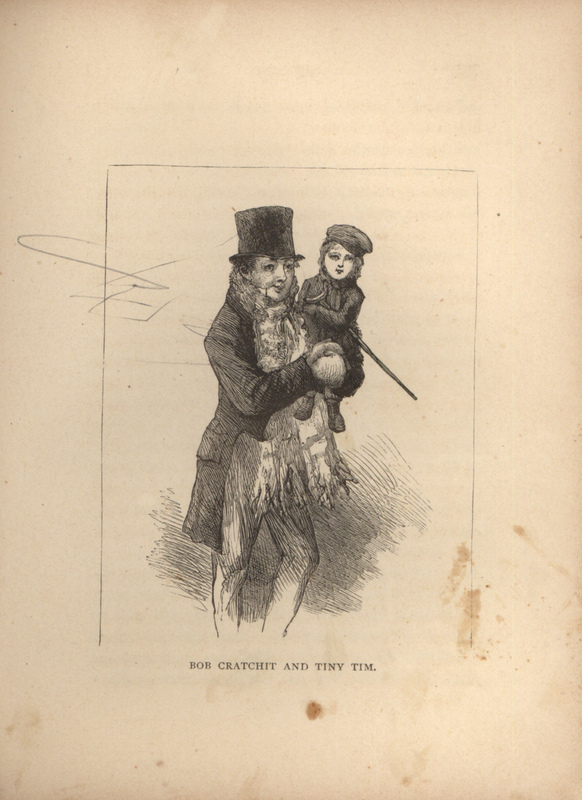 Child-pictures from Dickens. With Illustrations by S. Eytinge, Jr. Boston: Ticknor and Fields, 1868. In 1868, there was no international copyright recognition between the United States and Great Britain. American publishers frequently published and altered Dickens’s works, to his very great frustration, often without any thought of offering compensation to Dickens. 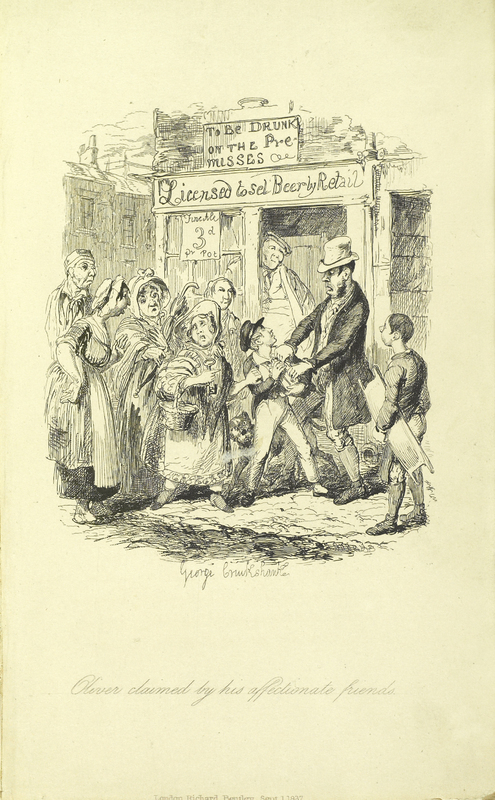 In this example of that practice, Ticknor and Fields have reprinted illustrations from Dickens’s works out of context in this book of reproductions. John Jasper's Secret. A Sequel to Charles Dickens’s Unfinished Novel “The Mystery of Edwin Drood.” With Eighteen Illustrative Engravings. Philadelphia: T. B. Peterson & Brothers [c1871]. Charles Dickens began writing The Mystery of Edwin Drood in 1869, which was left unfinished upon his death on June 9, 1870. This attempt at a sequel by Henry Morford, which was first published in 1871, was wrongly attributed to Charles Dickens, Jr. and Wilkie Collins. How Dickens intended the original novel to be finished is indeed a mystery and the source of much speculation, as he died before completion.